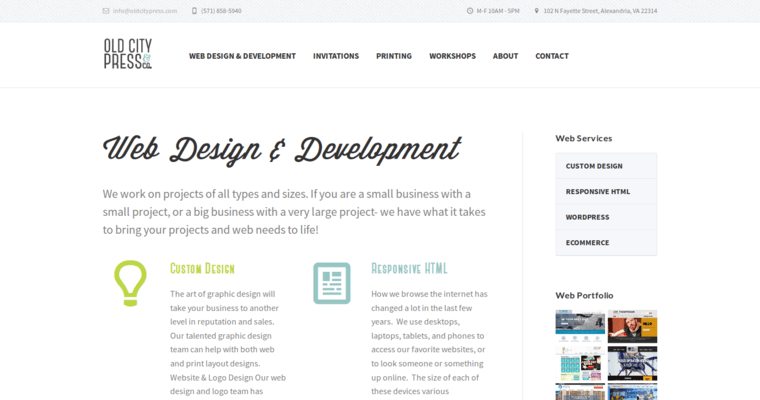 Old City Press is a web design, development and printing firm located in Alexandria, Virginia. The firm services the entire Washington, D.C. metro area and also has a number of clients from across the country. Pete Juratovic is the founder and current CEO of Old City Press. 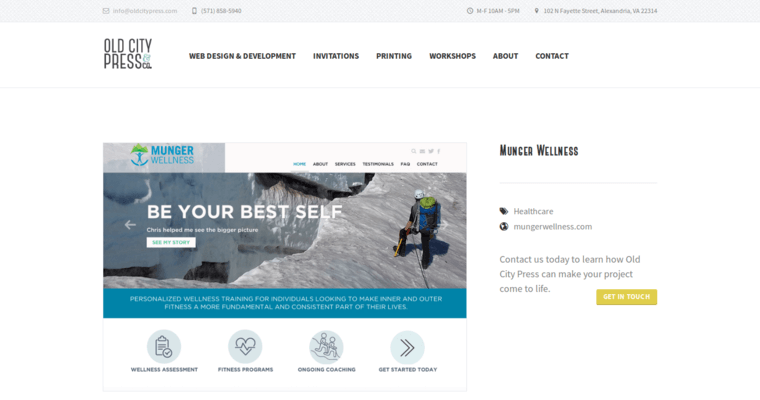 His firm offers a unique blend of printing and web design services unlike anyone else. From business cards and invitations to custom letterpress and greeting cards, they're able to create a unique plan for you, regardless of budget, size or location. 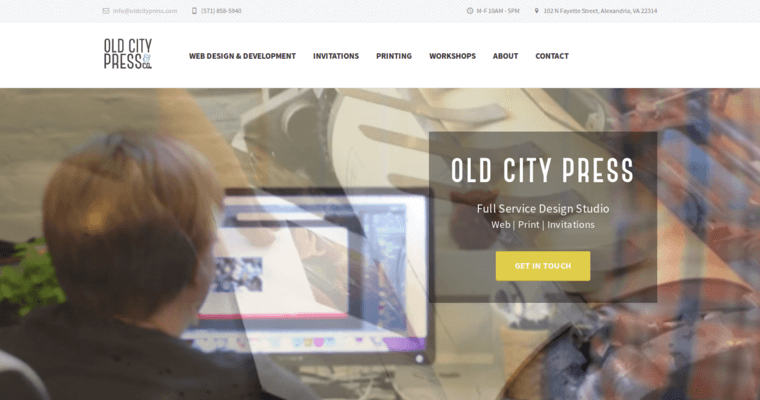 Old City Press specializes in Wordpress development, responsive HTML, e-commerce websites, and custom websites for all types of organizations and individuals. They maintain a small, full time staff of developers and designers, and are dedicated to providing exceptional customer service to each client. The prices for each service varies, and a custom quote is created for every customer. Their store front is open seven days a week for walk in clients.